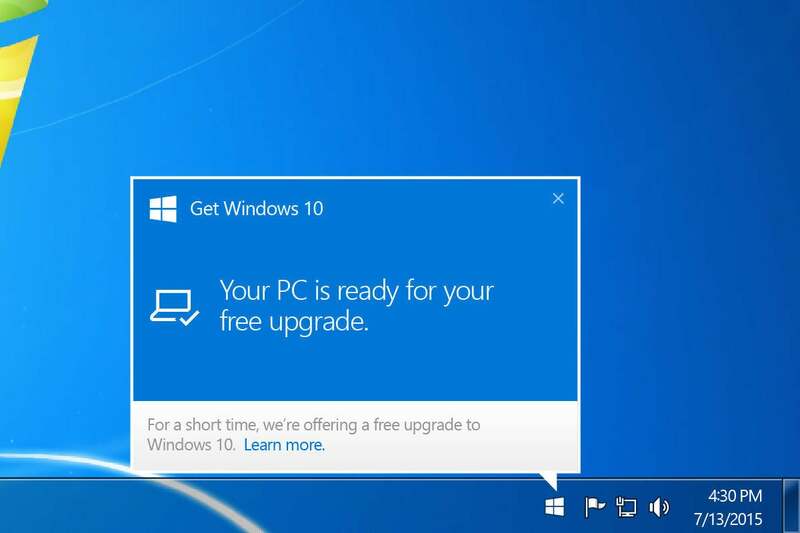 As Microsoft auto-upgrades more PCs to Windows 10, some users are complaining that they weren’t adequately notified. At that point, the only way to back out of the Windows 10 update is to “Decline” the End User License Agreement that appears during the installation. This will cause the system to roll back to the previous Windows version (though this is a somewhat time-consuming process). For users who haven’t upgraded yet, it’s possible to avoid installing Windows 10 by heading to Windows Update in the Control Panel, and unchecking the box under Recommended updates, which reads “Give me recommended updates the same way I receive important updates.” A registry tweak can help prevent Microsoft from sending upgrade reminders in the future. The impact on you at home: Unless you’re a regular reader of PC-centric news sites, you may not have realized that Microsoft would upgrade PCs to Windows 10 automatically. Although Microsoft claims that users are fully in control of the process, the sudden confusion from users indicates that the company either failed or didn’t care to give users enough of a heads up. There’s a lot to like in Windows 10, but the way Microsoft is delivering it leaves much to be desired.